Now that Zach Braff has said his good-byes to the employees and patients of Sacred Heart on “Scrubs”, it’s time to get back to that movie career that looked so hot back in 2004 with “Garden State”. But it’s pretty hard to write, direct, and star in movies when you’re doing a TV show eight months out of the year. 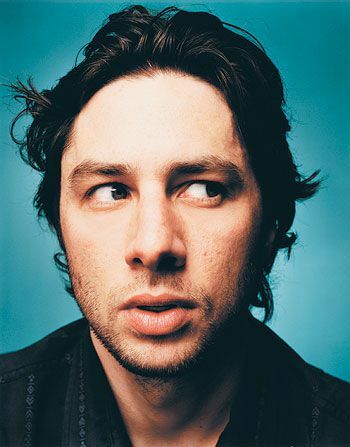 Also, between “Garden State” and “The Last Kiss”, there was some considerable backlash towards Braff even though it would be a big stretch to say he was over-exposed. But now Variety is reporting that Braff will be making his return to movies with the Paramount comedy “Swingles” which he will write, direct and co-star with Cameron Diaz. The story is based on a spec by Duncan Birmingham, is about a bachelor who is dumped by his wingman and teams up with a sharp-tongued woman he can’t stand in order to meet singles. Gosh, do you think they’ll fall for each other? Probably not. Hollywood would never be so predictable.